This form is an old tracking sheet. 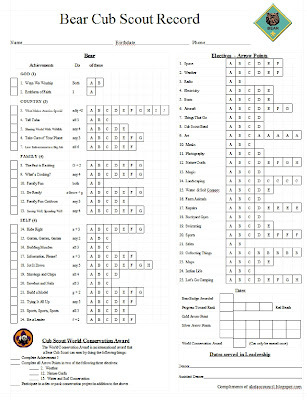 Need tracking sheets for the NEW Program? We have them ready for you! Click on the links below to see other tracking sheets. Please forward this through all your Cub Scout channels. We are so excited to announce that the $40 signup discount for February has been extended through the end of March to attend Akela's Council. We hope you will consider coming to this amazing training! This year, Utah National Parks Council will be putting on their 30th session of Akela's Council. Akela's Council has been going strong since 1987, with over 870 past participants. 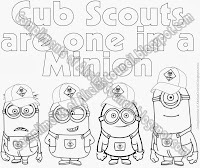 Akela's Council is a 4 1/2 day Cub Scout Leader Training. This year Akela's Council will be held July 29 - August 2, 2014. How do you apply? Fees for Akela's Council are $170, but you can register early for special pricing! Past participants have deemed Akela's Council to be the most motivating and enjoyable training they have ever completed. Registration is limited so register early for this once-in-a-lifetime experience. 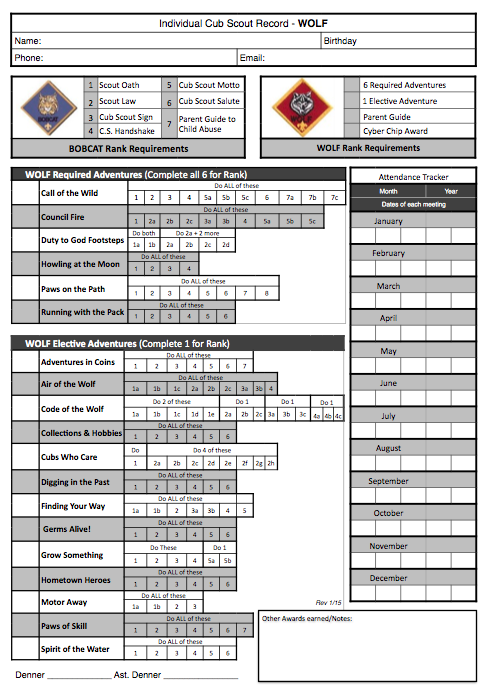 This training meets the needs of all Cub Scout Pack level leaders. Akela's Council is advanced training, similar to Wood Badge, but focuses on all aspects of the Cub Scout program and how to make it fun and meaningful for boys and leaders. Please try to attend, and encourage your Cub Scout Leaders to attend this training. Remember... every Cub Scout deserves a well trained leader. Here is a link to a 3-4 minute video about Akela's Council. Let me tell you about Akela's Council. It's a feeling, not a place. It's a sharing of knowledge with another. It's learning and fun with scouting as it's base. It's the spirit of the campfire, so take my hand, I'll help you see. It's just around the corner of your mind and underneath a tree. 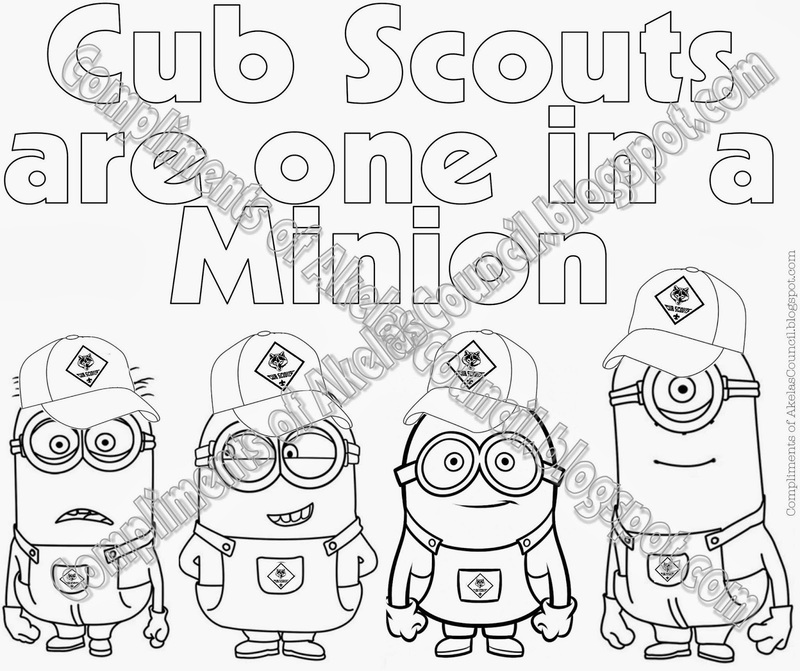 Cub Scout Minions PRINTABLE Invitation from Despicable Me - Great for the Blue & Gold Banquet - FREE! I saw a cute invitation someone made with my coloring page design. I just couldn't help myself and wanted to make my own so I could share it with you so you could add your own words and use it for an invitation for your Blue & Gold Banquet. I had a mother contact me about my Boy Scouts of America Blue & Gold Banquet Invitations. She asked if she could have me change it into an Eagle Scout Program. I thought it turned out great so I wanted to share it with you! You could also use it for an Eagle Scout Invitation. I am including the PDF below. All you need to do is to add your own wording. Once again, I would like to say a big thank you for this version donated by Pack 703 from Mansfield, Texas. THANK YOU for this amazing piece of art and your willingness to share it with others free of charge. 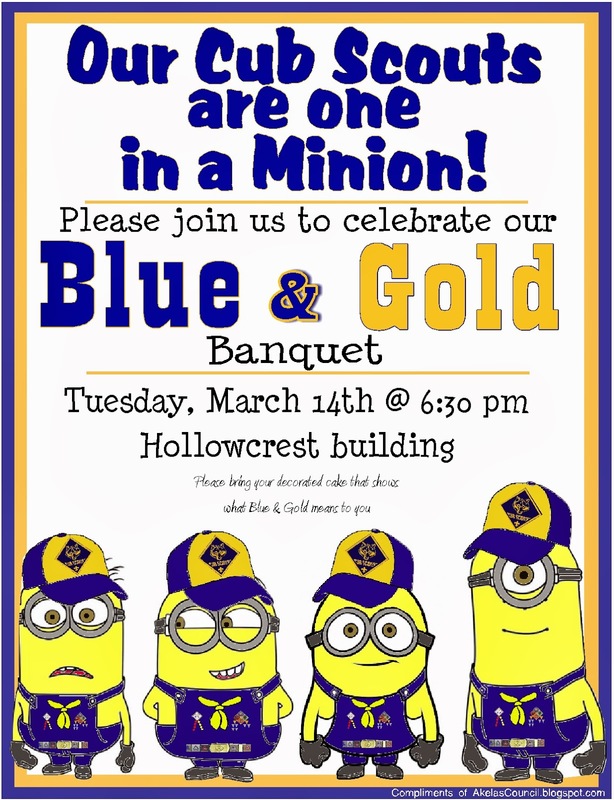 I had added my version to this blog, and then Pack 703 came up with this Blue & Gold invitation I have slightly modified to make it an Eagle Invitation. the Eagle Scout rank possible. I tried printing them on different papers, and the one above I printed on a white with speckles paper. I really kind of liked the look! I also added 3 circle logos to the bottom of the invitation. You can choose the one you like, and cut it with a 1 1/2 inch hole punch and tape it to the front of the program.